The Edo University, a World Class Institution located in Iyamho, Edo State, which upholds quality and excellence in teaching and research, with state-of-the-art facilities is desirous of awarding full scholarship to deserving students who scored a minimum of 260 in UTME and partial scholarship to deserving indigent students of Edo State origin who scored a minimum of 200 in UTME. The Undergraduate Full Scholarship Award (UFSA) will be for the duration of any choice programme of candidates. This scholarship shall be for the maximum of five (5) candidates who have demonstrated high level of academic excellence. The Indigent Students Scholarship Award (ISSA) will be for the duration of any choice programme and it covers only tuition fees. This award is part of Edo University Iyamho Corporate Social Responsibility in providing access to quality education in Nigeria. 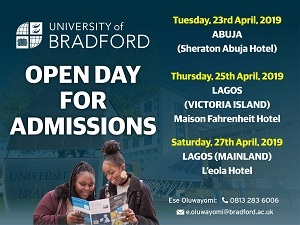 Scholarships are available for undergraduate candidates into the various programmes offered by the University as reflected on the University’s website. The candidate must have chosen Edo University Iyamho or any other NUC recognized University as his/her first choice of University for UTME with a minimum score of 260 for Undergraduate Full Scholarship Award (UFSA) And 200 For Undergraduate Indigent Students Scholarship Award (ISSA). The candidate must have met the entry requirements for admission into his/her course of study. The candidate must demonstrate a high level of written and spoken English (please note that a CBT is an important mode of assessment for determining the best applicants). Candidates of Edo State origin must show evidence of indigency to qualify for the Undergraduate Indigent Students Scholarship Award (ISSA).